For all of the writers out there, here is Graham Greene's preface to his initial treatment for 'The Third Man'. I think there is something to be said for working things out in prose as it becomes an exercise in detail for the author. The characters are much more drawn out and robust and it makes the screenwriting process much easier as you've worked it out in more detail than you needed. Here is the preface to 'The Third Man'. The Third Man was never written to be read but only to be seen. Like many love affairs it started at a dinner table and continued with many headaches in many places : Vienna, Venice, Ravello, London, Santa Monica. Most novelists, I suppose, carry round in their heads or in their notebooks the first ideas for stories that have never come to be written. Sometimes one turns them over after many years and thinks regretfully that they would have been good once, in a time now dead. So years back, on the flap of an envelope, I had written an opening paragraph : 'I had paid my last farewell to Harry a week ago, when his coffin was lowered into the frozen February ground, so that it was with incredulity that I saw him pass by, without a sign of recognition, among the host of strangers in the Strand.' I, no more than my hero, had pursued Harry, so when Sir Alexander Korda asked me to write a film for Carol Reed – to follow our Fallen Idol – I had nothing more to offer than this paragraph. Though Korda wanted a film about the four-power occupation of Vienna, he was prepared to let me pursue the tracks of Harry Lime. To me it is almost impossible to write a film play without first writing a story. Even a film depends on more than plot, on a certain measure of characterization, on mood and atmosphere; and these seem to me almost impossible to capture for the first time in the dull shorthand of a script. One can reproduce an effect caught in another medium, but one cannot make the first act of creation in script form. One must have the sense of more material than one needs to draw on. 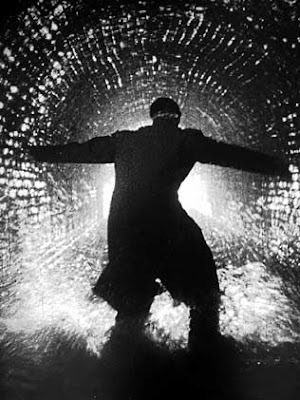 The Third Man, therefore, though never intended for publication, had to start as a story before those apparently interminable transformations from one treatment to another. On these treatments Carol Reed and I worked closely together, covering so many feet of carpet a day, acting scenes at each other. No third ever joined our conferences; so much value lies in the clear cut-and-thrust of argument between two people. To the novelist, of course, his novel is the best he can do with a particular subject; he cannot help resenting many of the changes necessary for turning it into a film or a play; but The Third Man was never intended to be more than the raw material for a picture. The reader will notice many differences between the story and the film, and he should not imagine these changes were forced on an unwilling author: as likely as not they were suggested by the author. The film in fact, is better than the story because it is in this case the finished state of the story. One of the very few major disputes between Carol Reed and myself concerned the ending, and he has been proved triumphantly right. I held the view that an entertainment of this kind was too light an affair to carry the weight of an unhappy ending. Reed on his side felt that my ending —indeterminate though it was, with no words spoken — would strike the audience, who had just seen Harry die, as unpleasantly cynical. I admit I was only half convinced; I was afraid few people would wait in their seats during the girl's long walk from the graveside and that they would leave the cinema under the impression that the ending was as conventional as mine and more drawn-out. I had not given enough consideration to the mastery of Reed's direction, and at that stage, of course, we neither of us could have anticipated Reed's brilliant discovery of Mr Karas, the zither player. The episode of the Russians kidnapping Anna (a perfectly possible incident in Vienna) was eliminated at a fairly late stage. It was not satisfactorily tied into the story, and it threatened to turn the film into a propagandist picture. We had no desire to move people's political emotions; we wanted to entertain them, to frighten them a little, to make them laugh. Reality, in fact, was only a background to a fairy tale; none the less the story of the penicillin racket is based on a truth all the more grim because so many of the agents were more innocent than Joseph Harbin. The other day in London a surgeon took two friends to see the film. He was surprised to find them subdued and depressed by a picture he had enjoyed. They then told him that at the end of the war when they were with the Royal Air Force they had themselves sold penicillin in Vienna. The possible consequences of their act had never before occurred to them.